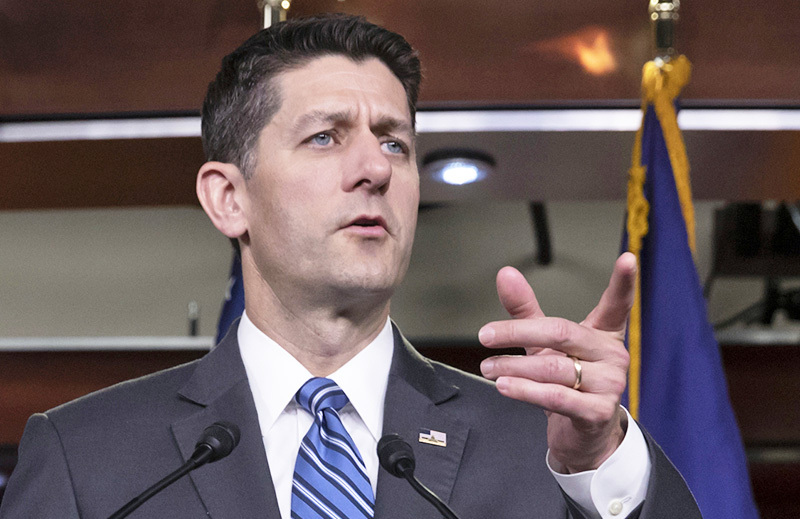 Key members of the House Freedom Caucus opposed the measure, seeking leverage to obtain a vote on a hard-line immigration plan. WASHINGTON – In an embarrassment for House Republican leaders, conservatives on Friday scuttled a bill that combines stricter work and job training requirements for food stamp recipients with a renewal of farm subsidies popular in Republican-leaning farm country. Hard-right conservatives upset over the party’s stalled immigration agenda opposed the measure, which failed by a 213-198 vote. Some 30 Republicans joined with every chamber Democrat in opposition. The vote was a blow to Republican leaders, who had hoped to tout its new work requirements for recipients of food stamps. The work initiative polls well with voters, especially those in the Republican political base. More broadly, it exposed fissures within the party in the months before the midterm elections, and the Freedom Caucus tactics rubbed many rank-and-file Republicans the wrong way. A handful of Republican moderates opposed the bill, too, but not enough to sink it on their own. Key conservatives in the rebellious House Freedom Caucus opposed the measure, seeking leverage to win procedural advantages to in a debate on immigration next month. Negotiations with Republican leaders Friday morning failed to bear fruit, however, and the unrelated food and farm measure was defeated. Beyond the drama and infighting among Republicans, the debacle appears to make it even more likely that Congress will simply extend the current farm bill when it expires in September. Currently, adults 18-59 are required to work part-time to receive food stamps, officially called the Supplemental Nutrition Assistance Program, or agree to accept a job if they’re offered one. Stricter rules apply to able-bodied adults 18-49, who are subject to a three-month limit of benefits unless they meet a work or job training requirement of 80 hours per month. The measure would have greatly expanded funding for state-administered job training programs, but Democrats and outside critics say the funding for the proposed additional job training would require huge new bureaucracies, extensive record-keeping requirements, and that the funding levels would fall far short of what’s enough to provide job training to everybody covered by the new job training requirements. On Thursday, supporters of the agriculture safety net easily defeated an attempt to weaken the government’s sugar program, which critics say gouges consumers by propping up sugar prices. In the Senate, the chamber’s filibuster rules require a bipartisan process for a bill to pass. There, Agriculture Committee Chairman Pat Roberts, R-Kan., promises a competing bill later this month and he’s signaling that its changes to food stamps would be far more modest than the House measure.